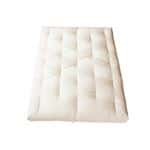 The Dreamton Mattress with its natural latex core is one of our #1 bestsellers, and with good reason. Soft yet supportive, this mattress is perfect for sleepers who love to sink into their mattress, but who need the support of a firmer mattress. Get the cloud-like feeling, with a core to support your muscles and joints. 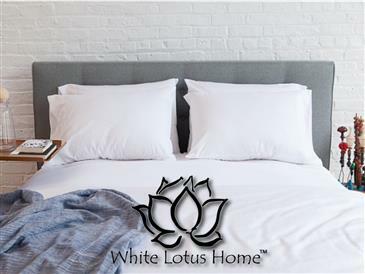 With a 3” natural latex core sandwiched between a fluffy Green Cotton core, wrapped in our most luxurious natural wool, this mattress is everything you wish a natural mattress could be, with none of the toxic ingredients. In sizes from crib to California King — and in custom sizes, too — these natural mattresses offer an eco-friendly and hypoallergenic alternative in every size. 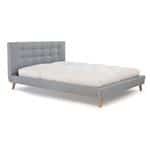 The Dreamton is a mattress without springs, and as such won’t transfer motion between sleepers. We recommend putting it on a box spring set or platform bed, or even using it as a floor bed. A slatted bed frame is recommended for air circulation and the slats should be at least 2.5" wide and no more than 2" apart from each other. When the slats are more than 2" apart, that may affect the longevity and comfort of your mattress. Supportive and responsive, the Green Cotton, Latex, and Wool Dreamton is a mattress unlike any you’ve ever slept on, and we know you’re going to love it. This cotton is high quality and comfortable. Incredible mattress! Comfortable, beautiful and you can see the quality of craft in its production. Hello. Will a platform bed with slats work for this mattress? Hello, Yes, a platform bed with slats would work perfectly with this mattress, as it is best to have air circulation. Feel free to also email us at sales@whitelotushome.com or call us at 732-828-2111.